On his website James McBride has a short biographical video in which he talks about his mother, his music, and his writing. Every one of the twelve kids in his New York City family growing up played music and read books. McBride himself plays saxophone, and played in a traveling band while writing his first book, The Color of Water. McBride says "we’re all the same…there’s none of that black and white stuff when one gets to the nursing homes…they’re all just happy their body parts are still functioning." That may well be, but please let’s not wait that long to get past race. McBride’s yarn-spinning tone is in full voice right from the first story, “The Under Graham Railroad Box Car Set,” where we learn about the fabulously valuable toy railroad set made for General Robert E. Lee’s five-year-old son Graham by Horace Smith, of Smith & Wesson fame. Rumors of the train set swirled for more than a century before a photograph of it appeared one day at the home of a seller of vintage toys living in Buck’s Country, Pennsylvania. The very finest stories in this collection come at the end, including “Mr. P & The Wind,” a fable which really should be published as a stand-alone paperback storybook for adults with pen-and-ink drawings, like that of Chekov or Kipling at the end of the 19th Century. In this story, animals residing in a zoo discuss their lives before zoo-dom, what their real natures are like, and their understanding of reincarnation. One thing they’d learned very well in the zoo was that humans—the Smelly Ones—were able to kill expeditiously but they had little to no understanding of the Order of Life. This piece ranks as a bedtime story for grownups, a just-long-enough, miraculously inoffensive and reassuring vehicle for dispensing wisdom and life experience, certainly exceeding the feel-good but ultimately empty bloviation of the Dr. Seuss book often gifted at graduations, Oh, The Places You’ll Go! The animals communicate in Thought Shapes which do not register to humans who have not learned the language. In this way, whales can communicate with lions and panthers, difficult and exciting though that is to comprehend. A Smelly One, Mr. P, learns to Thought Shape. Four of the stories in this collection center around the five-and-a-half-member Five-Carat Soul Bottom Bone Band, and we could see what they were learning from their neighborhood: Pig and Dirt were former members, Bunny, Dex, half-member Ray-Ray, Beanie, Goat, and Butter, our narrator. The time was different back then, when the band practiced over Mr. Woo’s grocery, before Mr. Woo killed “Buck Boy,” who had tried to rob him. In “The Moaning Bench” we get a whiff of the everlasting…the everlasting hellfire that awaits those who have not examined what it means to be penitent. In “The Christmas Dance” we review again the role of black soldiers in Italy during the Second World War. Two survivors of a horribly-ravaged regiment were surprised in a 1944 Christmas Day attack that took out most of their fellow soldiers. On Christmas Day every year they get together to dance, and to remember. Two stories tell of Abraham Lincoln, whose difficult choices and grief binds him to us even now. “The Fish Man Angel” was my second favorite story in the collection. Lincoln’s loss is palpable as he curls up in the stable with his dead boy Wille’s favorite pony, sharing loneliness and warmth. From that vantage point he overhears the cruelty of one black man speaking to another and fixes that problem at least. The second of the Lincoln stories, “Father Abe,” describes a young mixed-race orphan called Abe Lincoln seeking clarification about his parentage: surely if his name is the same as the president, wouldn’t that man would be his father? The 9th Louisiana Colored Infantry Regiment, briefly and exhaustedly paused in Richmond, VA near the end of the war, found Little Abe persistent in his demand to know which man was his father. Stories like these seem designed to entrance even much-older children who have their own children. That’s the thing about McBride. His writing allows adults time to relax, to play a little. He feeds our credulous, childlike selves; we put aside his work to think on it a bit. 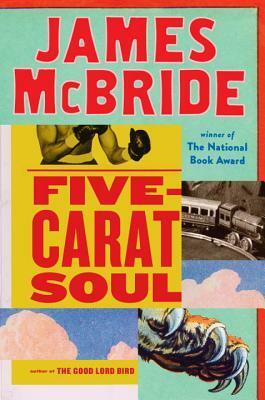 McBride has a reservoir of humor and goodwill that saves his work from both despair and from too great an optimism.